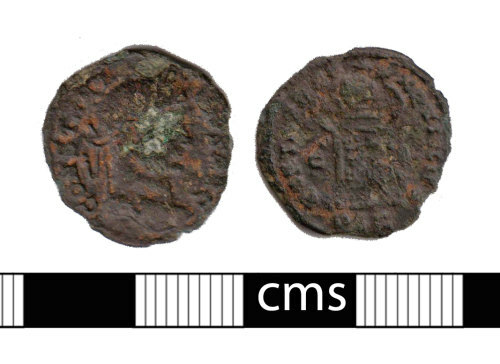 A worn copper alloy Roman nummus (AE3) of Constantine I (AD 306-337), dating to the period AD 330-335. Reece Period 17. BEATA TRANQVILLITAS reverse type, mint of Lyon.